In honour of the legacy of liberation hero Chris Hani, the University of Cape Town (UCT) formally renamed its science lecture theatre the Chris Hani Lecture Theatre on Tuesday 24 April. 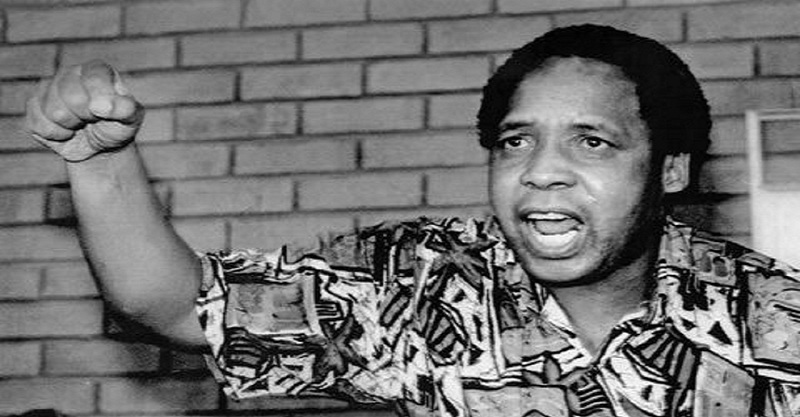 Chris Hani was a fierce opponent of the apartheid state. He was the leader of the South African Communist Party (SACP) and chief of staff of uMkhonto we Sizwe, the armed wing of the African National Congress. 10 April marked the 25th anniversary of Haniâ€™s assassination. Chris Hani delivered the final lecture of his life at the New Science Lecture Theatre at UCT. Ten days later he was assassinated. The Hani family, representatives of the UCT management, and the deputy secretary-general of the SACP Jeremy Cronin were at the renaming ceremony. In his keynote address, Cronin saluted the initiative of UCTâ€™s student body to rename this building. â€œThere are cynics who will say that changing the name of a building changes nothing. They will be proved wrong if we embed this renaming within a wider process of social, economic, and cultural transformation of our universities and wider society. A university is a place in which itâ€™s possible – and imperative – to foster reflective thinking, rational discussion, and debate,â€ he said. Cronin also spoke of the obstacles Hani faced during negotiations with the apartheid government and the challenges South Africans face today including poverty, inequality, and unemployment. Cronin ended by saying he hopes the lecture theatre, which now carries Chris Haniâ€™s name, â€œwill be a forum for collective empowerment, for rational and reflective discussion and learningâ€. â€œThis lecture theatre has held Chris Hani’s name for more than a year now,â€ third-year politics, history, and sociology student Aaliyah Vayej said to The Daily Vox. She said while the renaming remembers South Africaâ€™s history against racial oppression, it also shows UCTâ€™s consistent disconnect with students and weak understanding of the decolonial project. â€œChris Hani is being used as a name in this instance, not a history,â€ Vayej said. She said the university missed the opportunity to teach students about who Chris Hani was, what he stood for, and what he represents to the struggles and identities of students today. â€œThe university has dehumanised and commodified a South African icon under the guise of transformation that is not reflective of the colonial education and institutional culture students at the university face,â€ she said. Students have found the media attention to the renaming unnecessary in light of the recent labour pickets and country-wide strikes for an increase in minimum wage, and irrelevant to their fight against a broader institutional system that â€œcontinuously adopts colonial organisation,â€ Vayej said. Siphosethu Sidinile, a fourth-year Bcom management science student, said as a black person itâ€™s good to see her political heroes being honoured. â€œIt is a move in the right direction in terms of representation of the demographics of our country and their history,â€ Sidinile said. UCT spokesperson Nombuso Shabalala said the renaming project was part of a multifaceted transformation project committed to overcoming the legacy of apartheid and colonialism at the institution. Perhaps the many millions of Rands to be used to renovate the building would be better invested in comprehensive bursary support for socio-economically oppressed students.